AVI to MP4 Conversion Guide - How to Convert AVI to MP4? Current Page: Home > tutorials > How to Convert AVI to MP4? AVI, which stands for Audio Video Interleave, is a Container format used by Microsoft's Video for Windows multimedia framework. It is widely used by consumers and even supported by some standalone DVD players. Although still supported in Windows, and suitable for certain formats like DV, it's not a good general purpose container, and even Microsoft uses other containers for their own video formats. 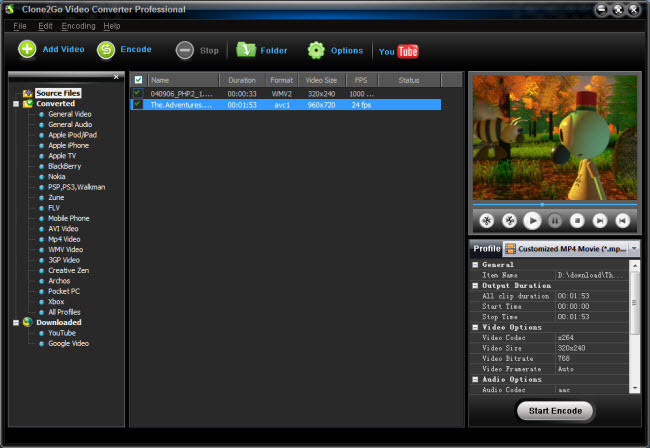 MP4 is the official multimedia container for MPEG-4 video and audio. Although such video can be stored in a number of modern containers, including MPEG-2 PS/TS and Matroska, the development of MP4 is important because it gives hobbyists a replacement for the outdated AVI container which became the standard for MPEG-4 ASP (DivX, XviD, 3IVX, etc,...) video. 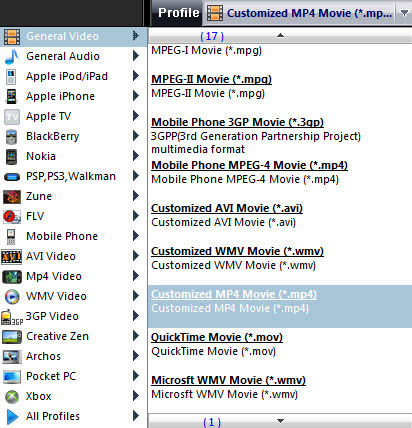 Download the latest version of AVI to MP4 Converter. Install and run it. 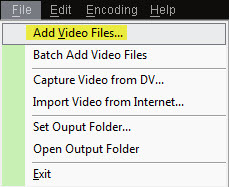 Click the "Start Encode" button to start to convert AVI to MP4.